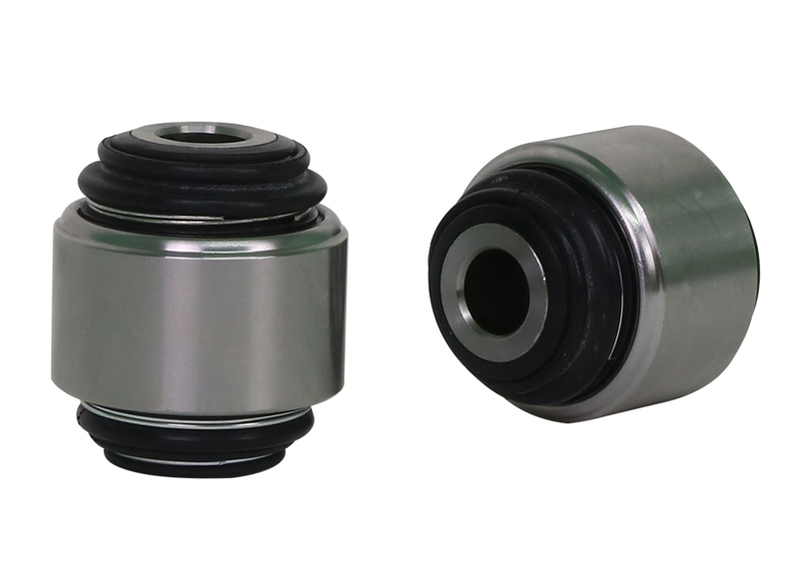 A common serviceable item, worn joints exhibit excess movement and are commonly diagnosed simply from knocking and rattling noises coming from the upright or hub area. If worn and not replaced, these joints can have significant negative impact on wheel alignment and resulting uneven tyre wear or scrub. Whiteline's replacement joints boast superior internal joint structure for improved performance and durability. The outer housing also features a chamfered leading edge for ease of installation.